Where to go depends on what you like! At the confluence of the Pacific and Indian oceans lies Indonesia. This dynamic, tropical country is the largest that exists solely on islands—17,508, to be exact. With its breathtaking landscapes and a profusion of enigmatic traditions and cultures, Indonesia is a prime destination for luxury travelers pursuing a variety of interests. Bali is the most famous of the islands, celebrated for its rich cultural heritage, cascading rice terraces, and miles of golden beaches. Bali’s neighbor to the east, Lombok, is less developed and more relaxed. 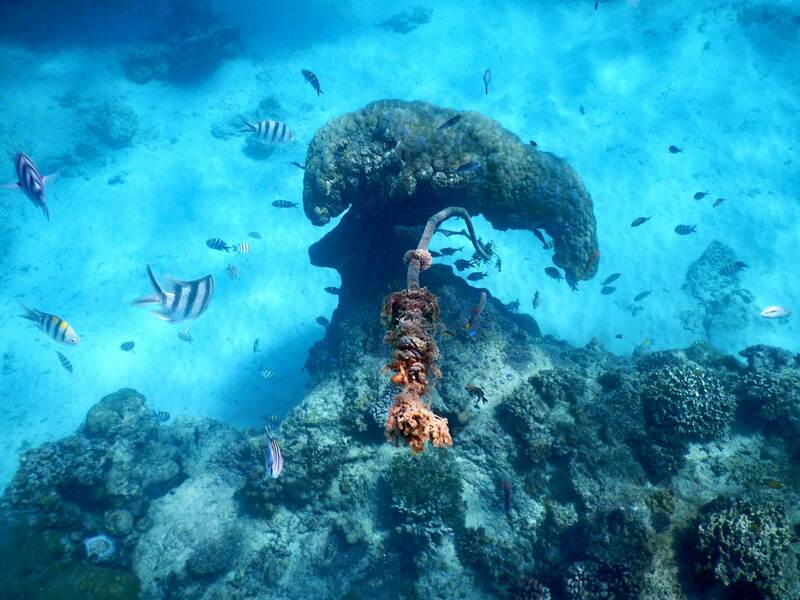 Excellent diving and snorkeling spots surround smaller nearby islands, called the Gilis. 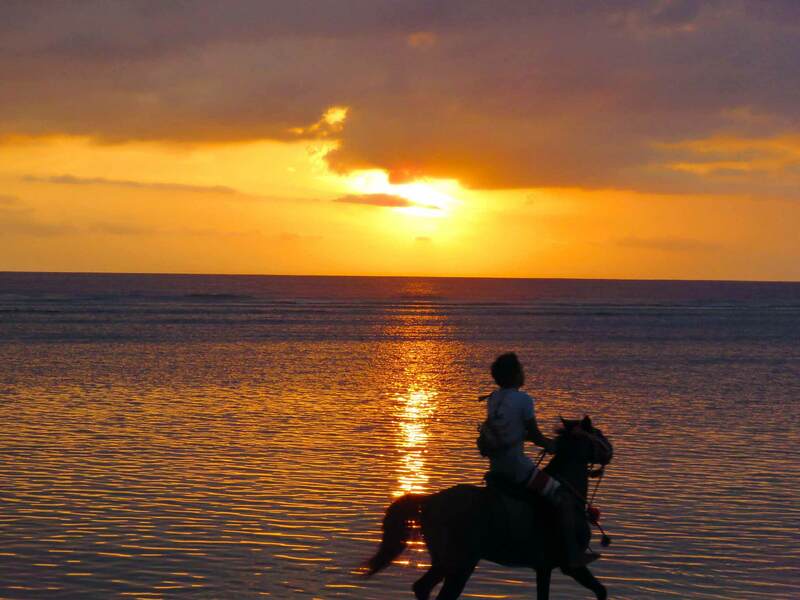 Lombok has pristine beaches, a massive volcano, and traditional villages. Indonesia’s capital city, Jakarta, lies on the island of Java. 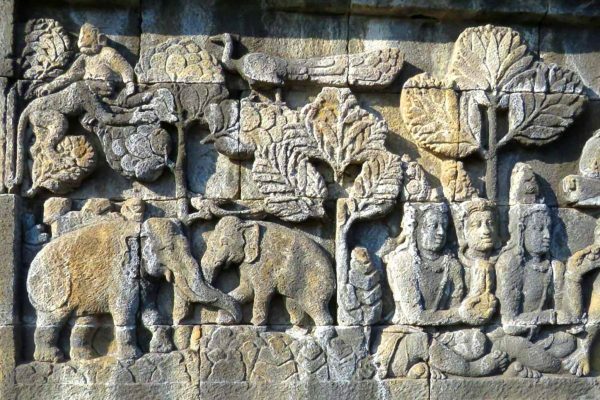 The island’s major cultural attractions are the exemplary temple complexes of Borobudur and Prambanan, which date back over a thousand years. Incidentally, “java,” the colloquial nickname for coffee, comes from the island’s coffee plantations during the colonial era. On other islands, you will find the rich ecosystems of Kalimantan (Indonesian Borneo), menacing Komodo dragons, and a variety of natural habitats, from coral atolls and volcanoes to jungles and beaches. 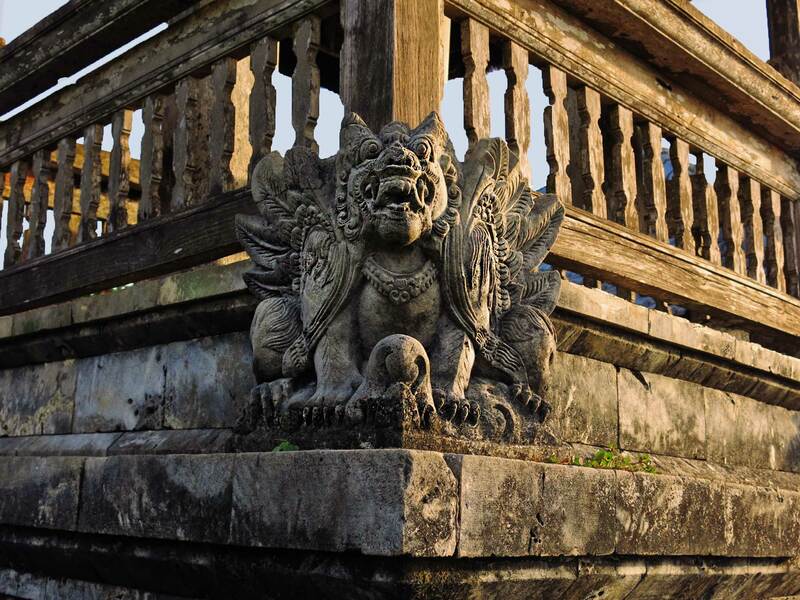 Indonesia’s prime destinations offer a selection of fine luxury hotels. Bali has a wide assortment of tropical resorts, both at seaside and in its scenic interior. Live-aboard yachts are an option for divers or for those hopping among deserted tropical islands. 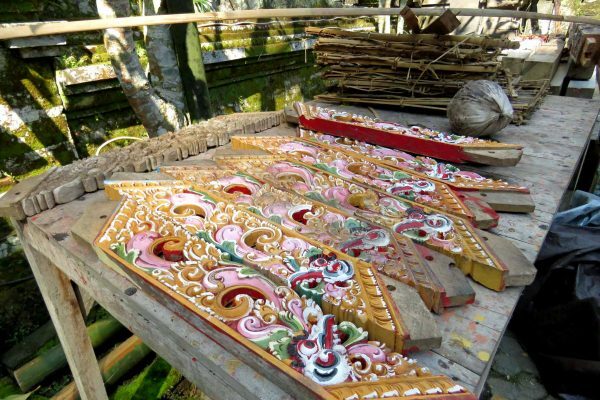 Indonesia’s artists are skilled in many disciplines: woodcarving, painting, dance, music, textile design, and puppetry. Much art is intertwined with religion, reflecting influences from Buddhism, Hinduism, Islam, and animist tribal beliefs. 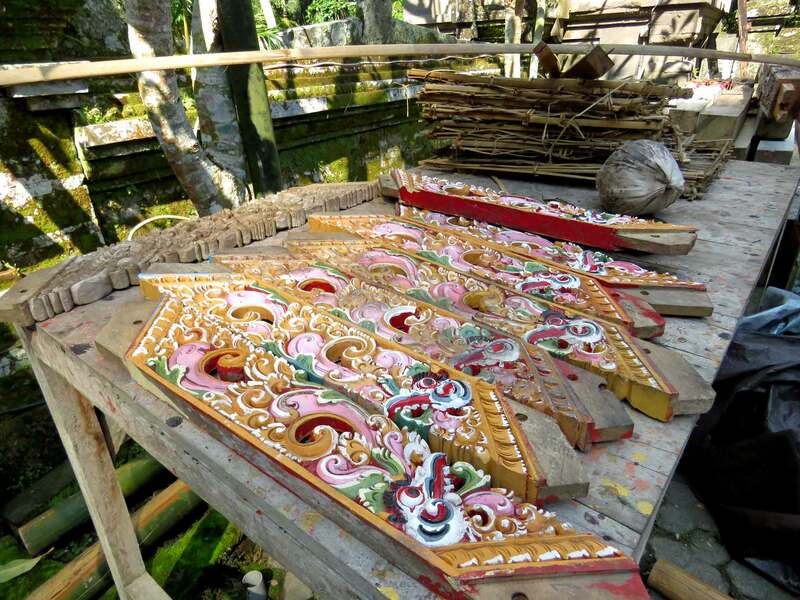 Ubud, in central Bali, is renowned for talented artisans who create ornate woodcarvings and paintings. Workshops are open to the public, and the town has many art galleries. The outstanding Neka Art Museum exhibits the work of Balinese artists, displayed in six buildings of different architectural styles. 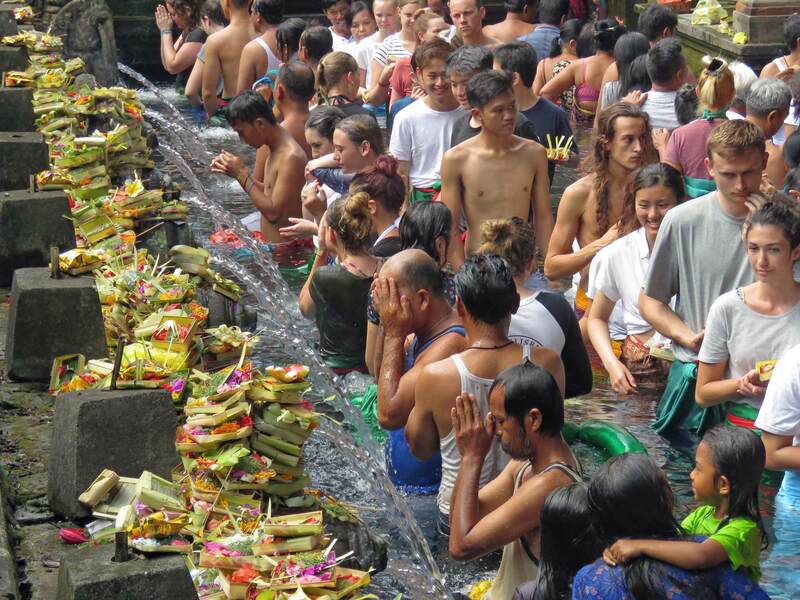 Hundreds of Hindu temples are scattered across Bali. One of the most dramatic is Tanah Lot Temple, located on a rocky outcrop into the sea. 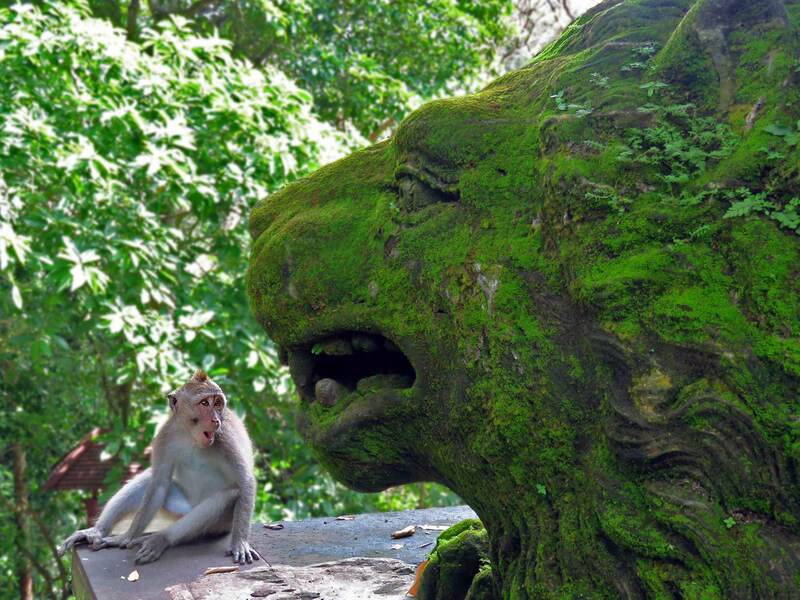 Goa Gajah is a cave temple with an ancient bathing pool on its grounds; the elephant-headed Hindu god Ganesh is venerated here, and mice are kept in the cave, honoring Ganesh’s use of one as a vehicle. 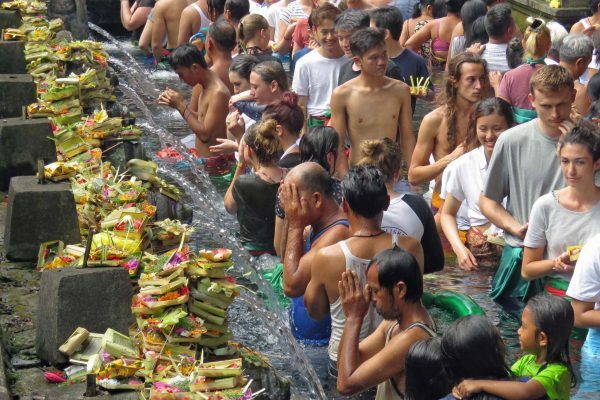 The Tirta Empul temple complex incorporates a holy mountain spring that’s set in a beautifully landscaped garden; devotees come to perform a purification ritual in its bathing pool. The ancient, imposing Gunung Kawi Temple is reached after descending a staircase of 300 steps; unique shrines are carved into the cliff faces on either side of the valley. 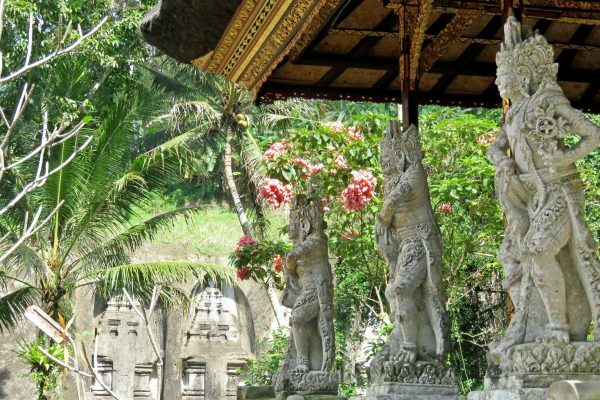 One of Bali’s most unusual temples is Goa Lawah in eastern Bali: This is a millennium-old temple next to a cave sheltering thousands of bats. As you might guess, its name means bat cave. 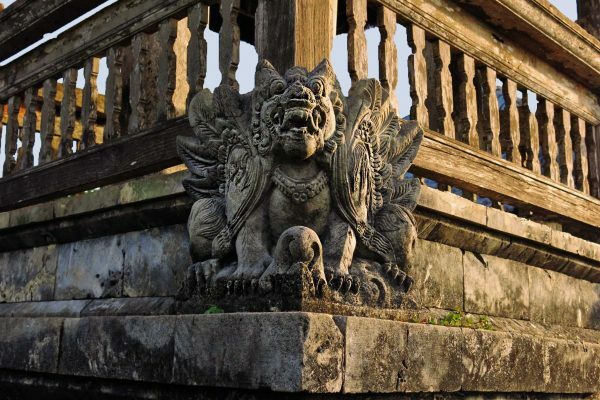 In Java, the superb craftsmanship of a bygone era is on display at two UNESCO World Heritage Sites. Borobudur is a magnificent Buddhist temple complex, the largest of its kind. 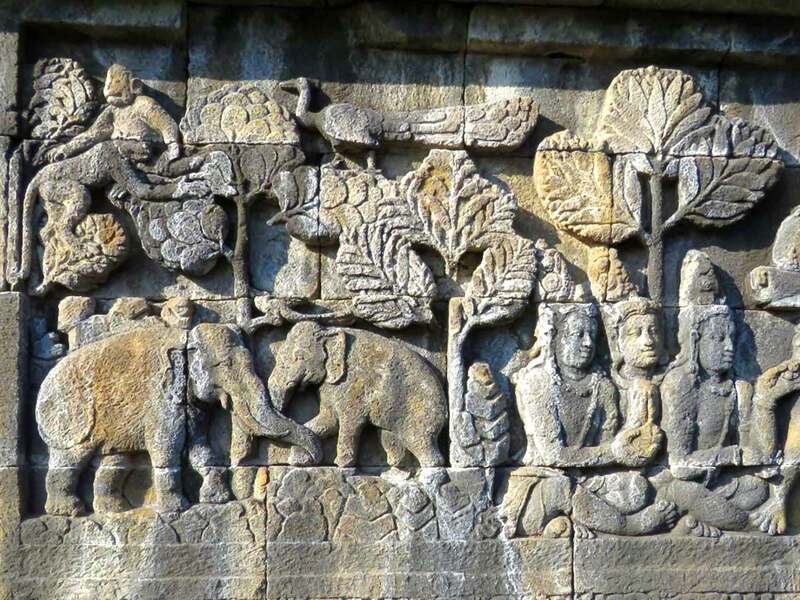 Construction began in the 8th century when Buddhist influence was sweeping through Asia. It predates Angkor Wat in Cambodia by some 300 years. Even in its time, it was unique, blending styles from monuments in Java, Persia, Babylon, and Greece. 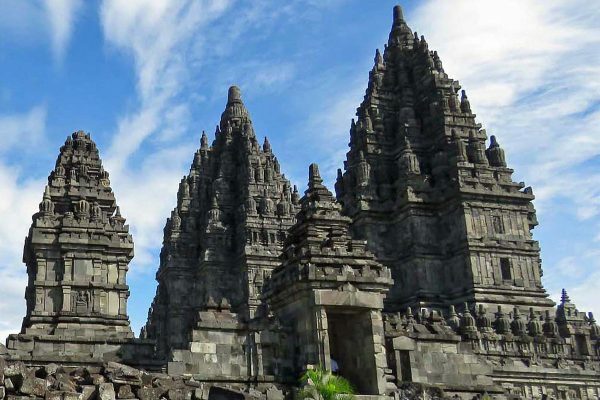 The Hindu temple complex of Prambanan was built around the same time, a testament to the religious diversity and tolerance of the Mataram kingdom in that era. Today, six impressive temples with intricate, towering spires remain. 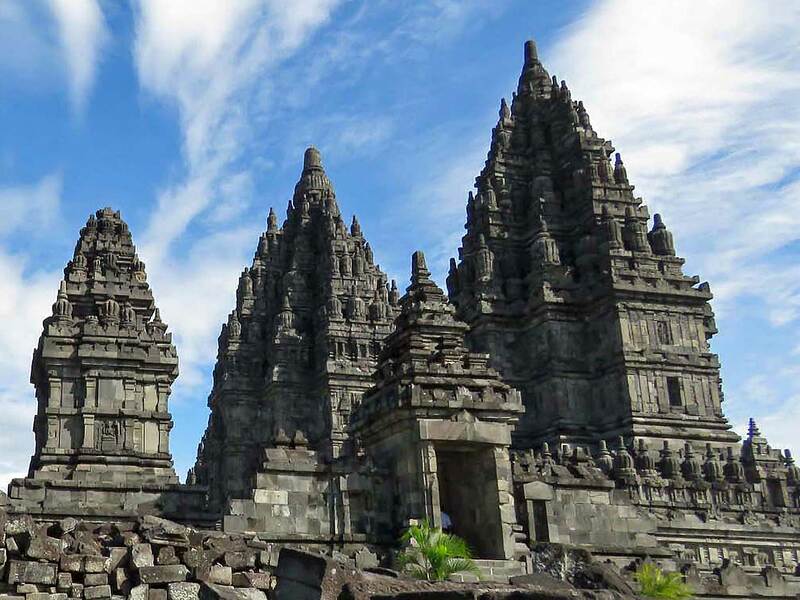 The surrounding ruins hint at the grandeur of the original construction: Some 240 smaller temples stood on the Prambanan plain. The Sasak villages are a fascinating part of Lombok’s culture, home to indigenous Muslim communities that have been integral to life on the island for hundreds of years. Pottery has been crafted in Lombok since the 16th century. High-quality clay pots, still produced in the village of Penunjak, are used daily for ceremonies, cooking, and cleaning. In Sukarare, weavers make vividly colored cloth on backstrap looms like those their ancestors used. 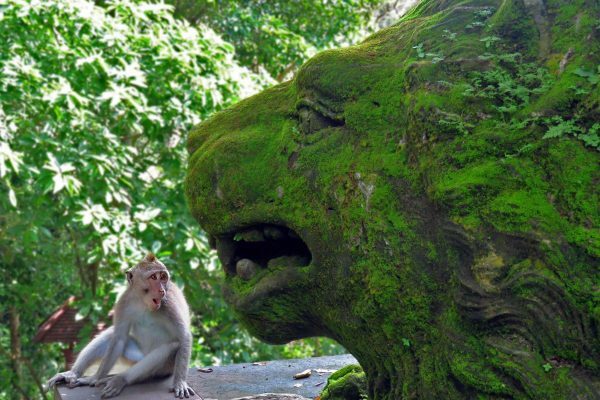 Bali offers visitors a dizzying array of adventurous pursuits. On the sea, you can try surfing, sailing, snorkeling, SCUBA diving, dolphin watching, windsurfing, kayaking, paddle boarding, jet skiing, parasailing, and yachting. On land, trek up Mount Batur for sunrise. Later, mountain bike down the volcano, hike through lush rice paddies, or challenge yourself to hold a headstand in yoga class. On the Ayung River, you can go rafting on gentle rapids that pass waterfalls. In East Java, set out before dawn to watch the sun rise over Mount Bromo from a neighboring mountain. Then climb to the summit of the caldera to gaze into the crater as plumes of white, sulfurous smoke rise continuously. Further east in Java is Mount Ijen, an active volcano complex where sulfur is mined. A challenging hike in the middle of the night rewards the adventurous with a remarkable view of electric-blue flames emitted by the highly acidic crater lake—visible only in darkness. The Komodo Dragon is the world’s largest species of lizard, with some reaching nearly 10 feet long (3 meters)! These venomous carnivores can be found only on a handful of islands in Indonesia, primarily Komodo, Rinca, and Flores, where they are a protected species. Undeveloped and off-the-beaten-path, Kalimantan (as Indonesia Borneo is known), is a land of 130-million-year-old rainforests, blackwater rivers, and the endangered Bornean Orangutan. In this rugged landscape, Dr. Biruté Galdikas established Camp Leakey (named for her mentor, anthropologist Louis Leakey) in 1971. Visitors can observe the primate research and conservation work that takes place here, where families of orangutans stop in to supplement their diets. Hundreds of additional mammal species live in Kalimantan—proboscis monkeys, gibbons, elephants, rhinoceros, and clouded leopards—and even greater numbers of bird, reptile, and amphibian species abound here. While lodges in Kalimantan are rustic, intrepid nature-lovers won’t mind roughing it to experience this verdant wonderland. 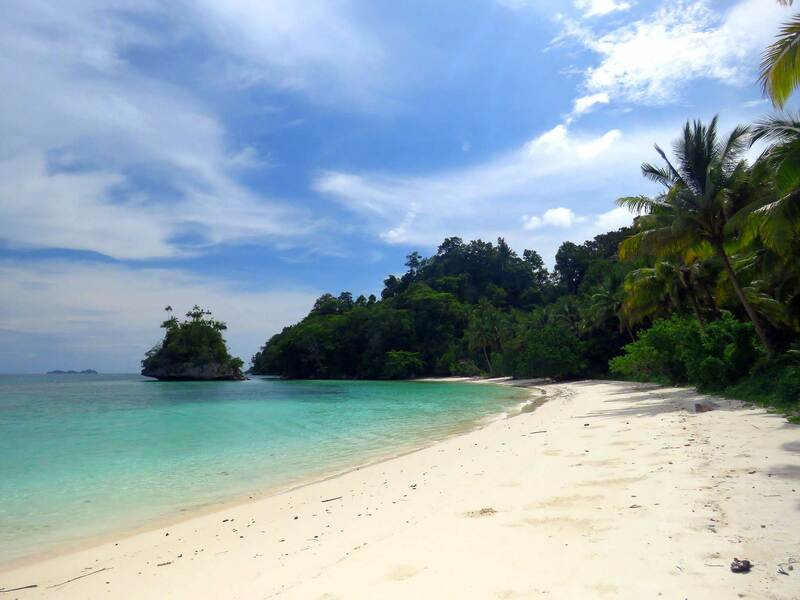 The coral reefs of Raja Ampat are frequently lauded as Earth’s very best SCUBA diving and snorkeling spots. 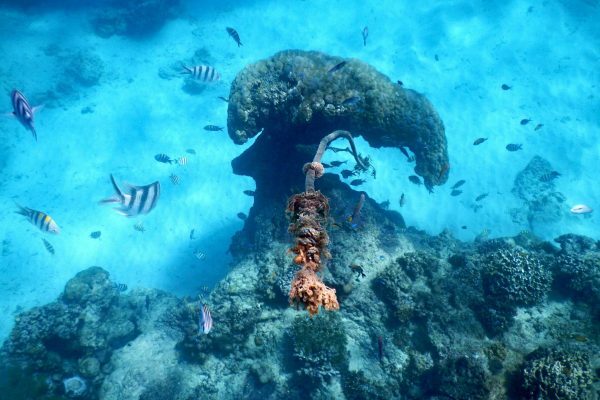 Scientists have counted 537 species of coral and more than 1300 species of fish in the area, confirming its top ranking in biodiversity. 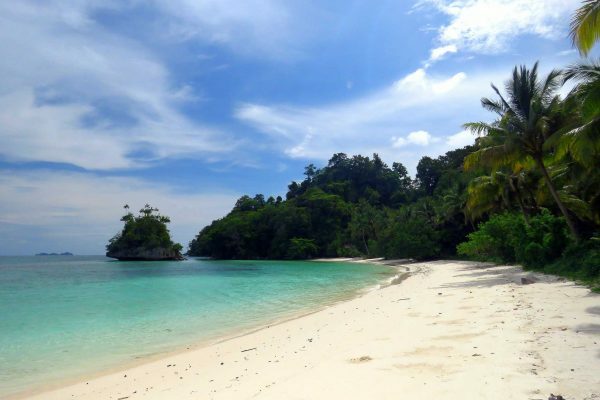 This archipelago is off the coast of West Papua, at the eastern edges of Indonesia. The best way to visit? Aboard a luxury live-aboard boat. Gamelan is the classic style of music in Java and Bali. An ensemble of musicians plays percussive instruments, such as gongs, drums, and metallophones, usually accompanied by male and female singers. Gamelan music is traditionally played live for dance and shadow-puppet shows. Dance is an integral part of traditional culture in Indonesia; each region and ethnic group has its own distinctive style. Near the Prambanan Temple in Java, there are regular dance-drama performances of the Hindu epic, the Ramayana, with a live gamelan orchestra. 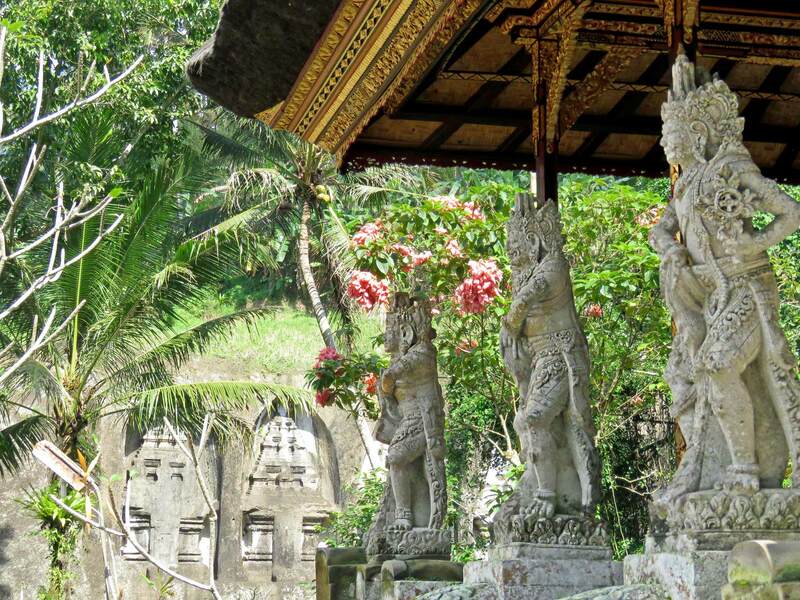 Bali has several stages, such as the Royal Palace in Ubud, where programs include several styles of dance. Kecak combines chanting, storytelling, and dance enacted by a troupe of Balinese men. 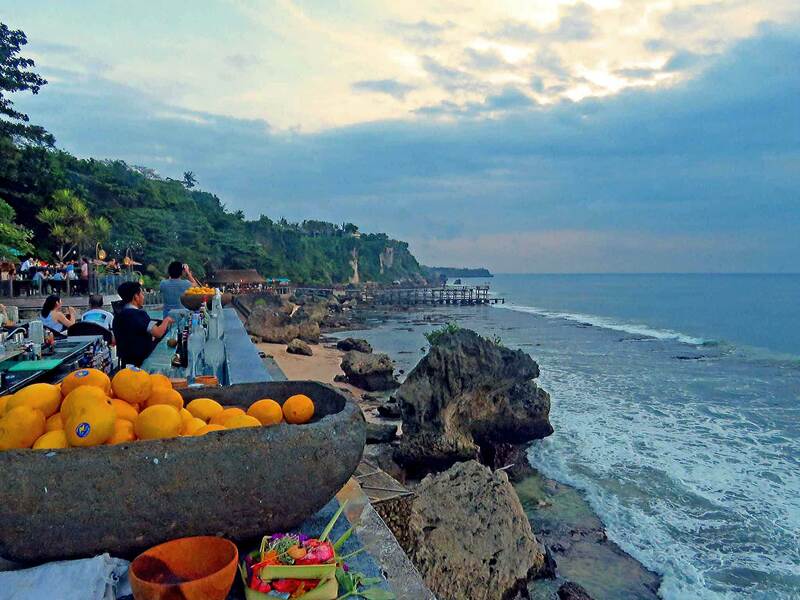 An excellent venue for kecak is the amphitheater near the beautiful cliff-top Uluwatu temple. Wellness is considered a priority in Indonesia. Most resorts have fantastic spas that are temples of relaxation. Balinese massage combines Ayurvedic practices from ancient India, which use herbal oils, with a focus on pressure points derived from Chinese medicine. Yoga and meditation centers are numerous in Bali, as are health-focused retreats. One of our favorite ways to relax in Bali is to spend an afternoon visiting the world’s largest Aquatonic Seawater Jet Pool at the Thermes Marins Spa, AYANA Resort. With the arts such an important part of daily life in Indonesia, shoppers seeking authentic handmade treasures will be spoiled. Choice picks include batik fabrics (used for sarongs and other clothing), shadow puppets, silver jewelry, ornamental wooden carvings, paintings, and hand-woven cloth. Locally grown coffee, chocolate, and spices make delicious souvenirs. Several boutiques in Bali offer ethically sourced and fair-trade housewares, tote bags, clothing, and textiles. Surfing gear and beachwear are sold in most major beach areas, including styles created by local designers and some from nearby Australia. Given Indonesia’s cultural diversity, it’s no surprise that its cuisine varies dramatically. What is ubiquitous is an insistence on local produce and fresh herbs and spices. Savory, complex flavors can be tasted in dishes such as stew, curry, noodles, rendang, and nasi goreng (fried rice). Indonesian satay is well known in the West—usually presented as a standard appetizer of grilled meat marinated in peanut sauce. Within Indonesia, satay comes in dozens of incarnations. In Yogyakarta, our favorite snack shop offers fresh tofu and tempeh (made from fermented soy beans) created right on the premises. As you would expect in a country of islands, seafood is plentiful. The warm climate allows for year-round rice farming. A bounty of vegetables, soybeans, coffee beans, and spices grows in the nation’s farmlands. Tropical fruits abound. It’s a treat to try one you have never seen, such as durian, snake fruit, jackfruit, rose apple, and rambutan. Fine-dining establishments are most often found in luxury hotels. However, Bali and Jakarta have many excellent stand-alone restaurants (some with Michelin-starred chefs). There are also excellent teaching kitchens and cooking classes. 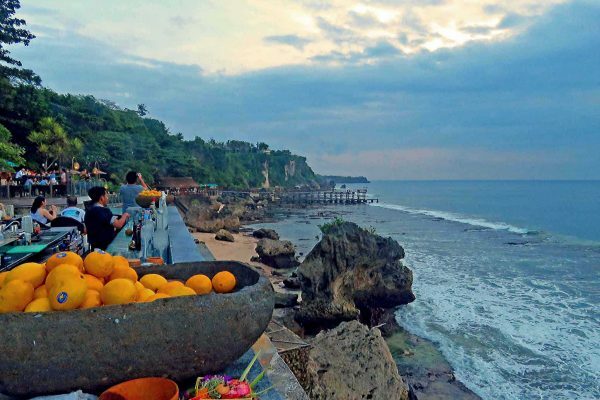 If you are celebrating a special occasion, Bali has so many ways to make a meal memorable—by candlelight on the beach, on a hillside overlooking rice terraces, inside your own private cave, under a romantic tent, or by a cliff with waves crashing below. 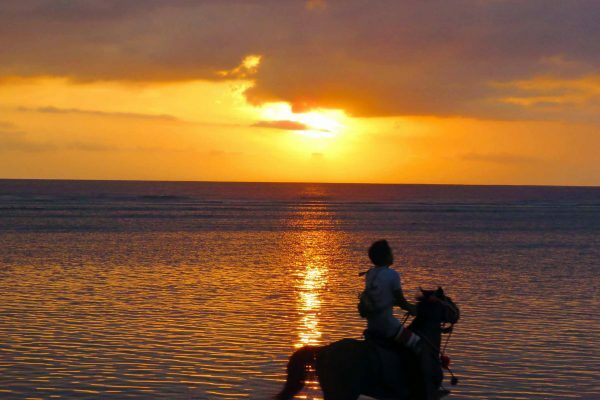 So much romance in the air makes Bali a popular place for proposals and honeymoons. 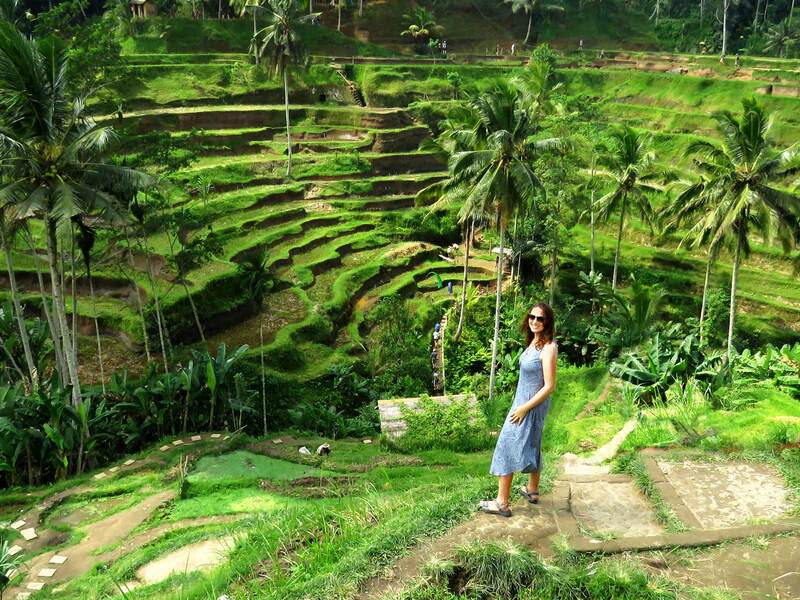 Customized tours in Indonesia starting from US$600 per person/per night. Straddling the equator, Indonesia has a warm, tropical, humid climate. Temperatures vary little throughout the year. The average temperature in Bali differs only a few degrees from the “warmest” month (82°F/28°C in May) to the “coldest” (79°F/26°C in January). Water temperatures also remain warm throughout the year. The rainfall pattern is the opposite of that in much of mainland Southeast Asia. The driest time of year is May through October. August is an extremely popular time to visit, especially for families. The rainy season runs from November to March. We design customized luxury tours to Asia for travel experiences as unique as you are.